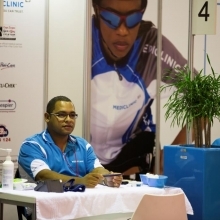 As the official medical partner to the Cape Argus Pick n Pay Momentum Cycle Tour, Mediclinic Southern Africa play an integral part in planning the event. 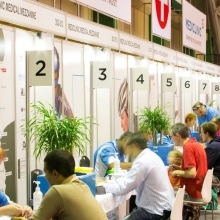 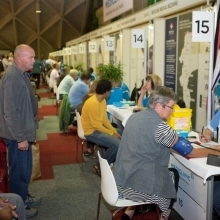 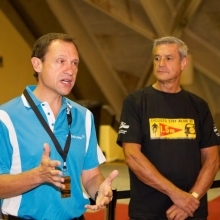 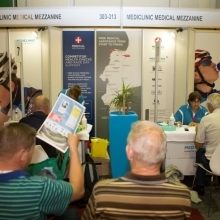 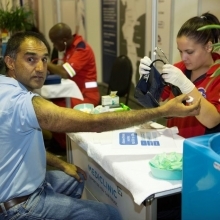 While Mediclinic play an integral role on Race Day, they also focus strongly on incident prevention and were instrumental in introducing a pre-screening service at the Cape Argus Momentum Lifecycle Expo ahead of the Cycle Tour. 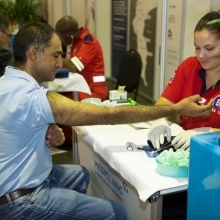 Cyclists who are at risk with pre-existing medical conditions, on chronic medication or have recurring injuries are therefore invited to visit the Mediclinic Medical Village for complementary blood glucose, blood pressure and cholesterol level checks. 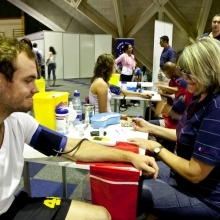 Doctors and dietitians are also available to offer related advice. 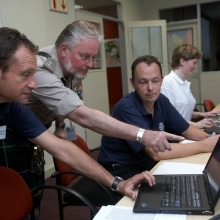 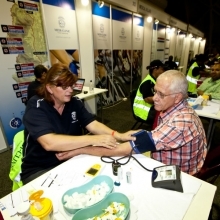 In addition, all participants’ health details (as documented when they entered the Cycle Tour) are loaded onto Mediclinic’s unique electronic patient tracking system, which provides the medical staff with instant access to their information at any point along the route, simply by entering their race number into the system. 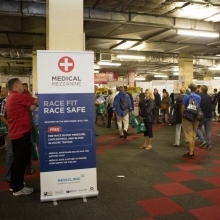 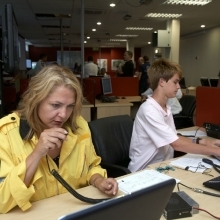 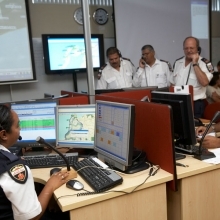 On Race Day, Mediclinic manage approximately 25 doctors, 80 nurses, 250 physiotherapists, 120 first aiders, 120 disaster management volunteers and 106 emergency vehicles, including ambulances, motor bikes and helicopters on duty.